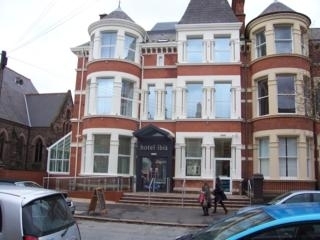 Renshaw's Hotel is situated close to Queen's University and is within pleasant walking distance from Belfast city centre and the famous Golden Mile. Being the closet bar to the Holylands area means there is often a good crowd of students during term time. Renshaw's is the ideal venue with 20 comfortable en suite bedrooms, the superb restaurant and Renshaw's relaxing Bistro Bar for your visit to Belfast and, in particular, the University area. B&B includes full continental breakfast. Have you got Google Earth on your computer? If so, then download the Google Earth view of Renshaws. Is this the wrong position for Renshaws? If you think so, then modify its position. Click / Tap the button above to get directions from where you are to Renshaws.